Dowlas UK Ltd are pleased to announce the launch of Enterprise House, a new office development at Weston Gateway Business Park, situated just off junction 21 of the M5. Enterprise House is an exciting commercial office space of some 25,000 square feet. The office space is able to be split into smaller office suits from as little as 2,500 square feet therefore able to cater for SME’s or larger head quarter offices. The design of the building is deliberately flexible to offer a range of sizes including 5, 10 and 15,000 square feet. 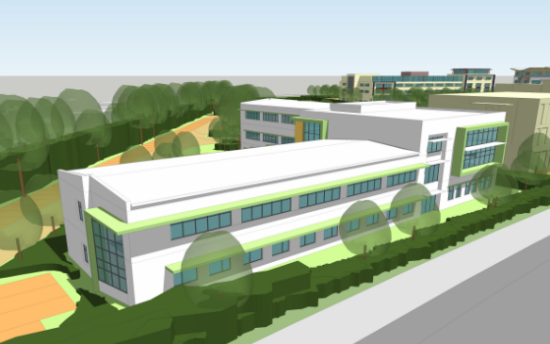 Enterprise House is currently in the planning stage, with outline planning having already been approved. Full planning permission should be granted in the Autumn of 2014 and will be available for occupation in 2015. The development will be enabled and built by Dowlas. The design for Enterprise House has been created by Angus Meek architects who are also responsible for the iconic design of the pier in Weston. The building will be built to a high environmental standard of a BREEAM very good, ensuing that businesses which choose to occupy Enterprise House are not paying the earth for their utility bills. What makes Enterprise House even more significant a development is that it is the only grade ‘A’ office space scheduled for development in the junction 21 enterprise area in the next twelve months. Enterprise house tenants will be designated car parking spaces on take up. Businesses looking to locate to Enterprise House will have the flexibility to choose from 2,500 square foot space with leasehold options available at circa £16.50 per square foot. This is a highly attractive offer for state of the art new office space, especially when compared to similar office space in central Bristol where businesses would have to spend £10/per square meter more than this. Weston Gateway Business Park is an already established site. The park has access roads and all utilities installed and features a Hungry Horse pub and Knightstone Housing head offices. Tonga satellite map The site has direct access to the M5, with junction 21 less than half a mile away. To the rear of the business park is Worle Parkway Station which provides excellent links to the UK rail network.